Interesting, different and unique. This sentence has aimed to the dark green chess piece above that shows its charming in unusual perform. It is true that green color always used in some interior decoration, so that this dark green chess piece may take a part in house decoration need. Its forest color give interesting touch for house corner and patio area. It would be nice if you put it in living room corner, children room, dinning room, library, office room, or even patio area and backyard area. 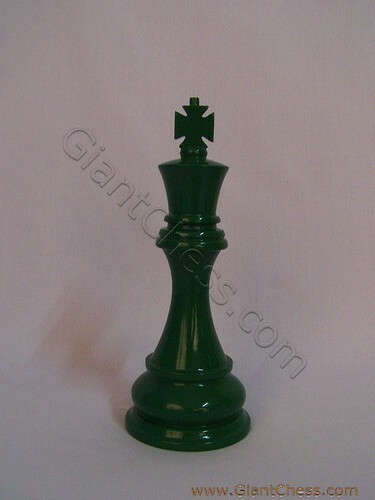 Dark green chess piece has made from best quality of Teak wood. This strongest wood support the chess piece to become a durable product in any seasons. You may left it outdoor for months without worried about its damage because it made from best quality wood. Carved by talented craftsman make the dark chess piece looks so beautiful with its detail carving shapes.